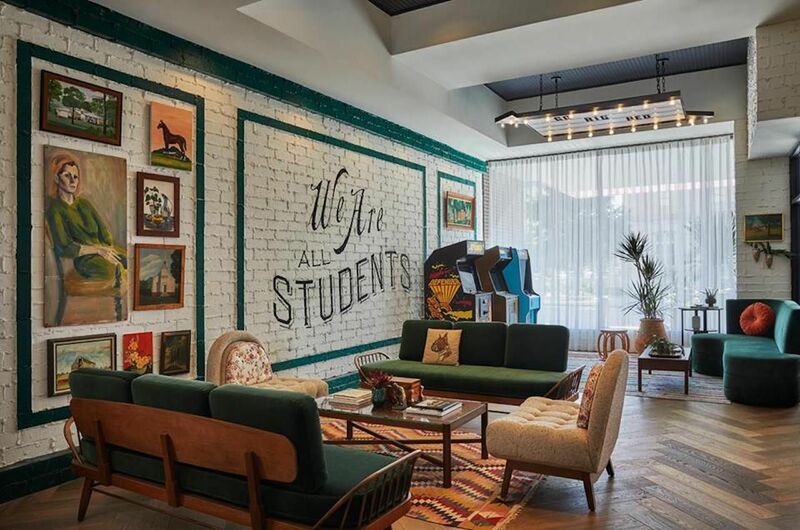 If your college years were the best of your life and you’d love to relive those fond memories, there’s a way to do that without having to sign up for another four years of school — some hotel lines are mimicking the uber-cool feel of college dorm rooms for your nostalgic pleasure. But these are no hostels or college-kid bunking situations, and there’s no cafeteria food, inconsiderate roommates, or communal showers — they are luxurious and cool. 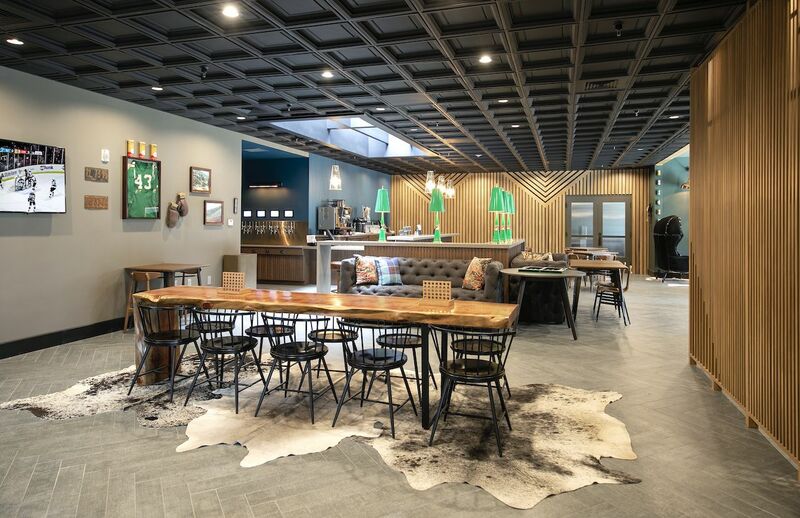 If you’re ready to bring back your glory days in a high-end setting, check out these seven dorm-room-inspired hotels. Graduate Hotels is a line of hotels with locations in bustling university towns. As the hotel chain’s website explains, “Every site and property celebrates and commemorates the youthful optimism of school days and cultivates the spirit of each community in a bright new way.” Rooms often feature dorm-style bunks (but don’t worry, this time you get to choose your own roommate) and super-schoolish decor. 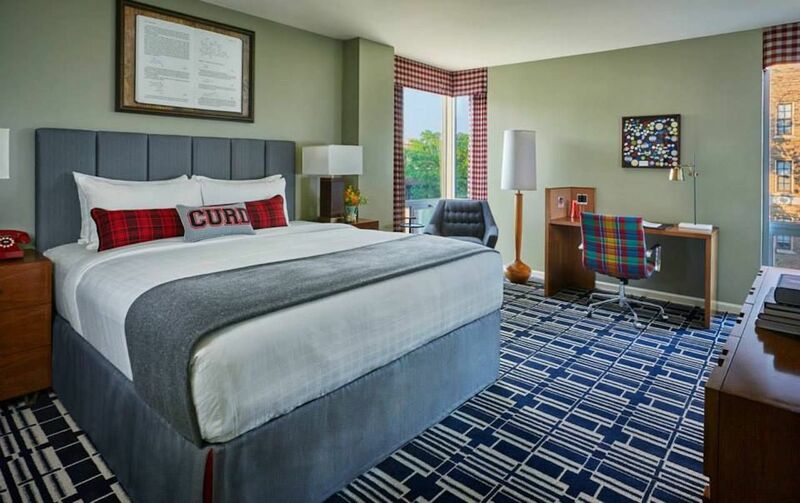 Currently, there are Graduate Hotel locations in Ann Arbor, Michigan; Athens, Georgia; Berkeley, California; Bloomington, Indiana; Charlottesville, Virginia; Iowa City, Iowa; Lincoln, Nebraska; Madison, Wisconsin; Minneapolis, Minnesota; Oxford, Mississippi; Richmond, Virginia; Seattle, Washington; and Tempe, Arizona — and with 12 new locations on the way, it’s clear there’s something to this upgraded-college-life thing. 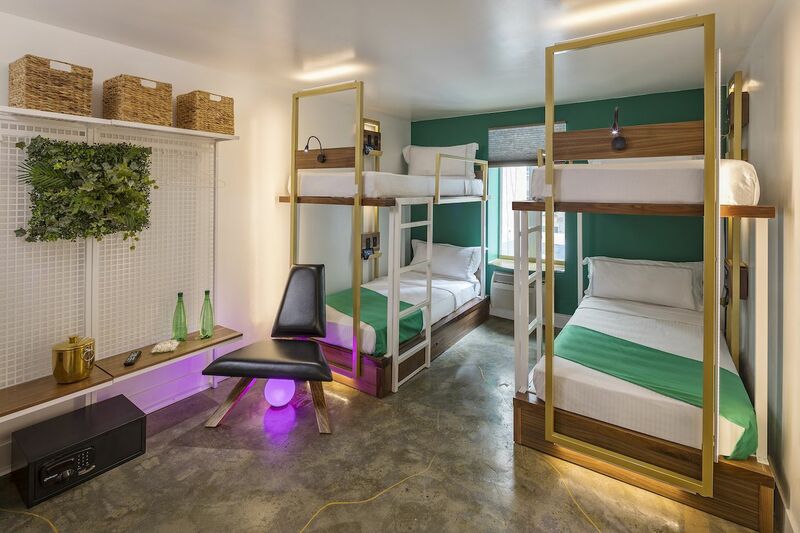 Freehand is a collection of hotels that seeks to combine the communal feel of a hostel with innovative design, award-winning food and beverage, and a social atmosphere — in other words, your warm memories of gap-year hosteling don’t have to die; they just finally got a serious upgrade. While Freehand hotels as a whole are aimed at travelers, the Bunk rooms at the Freehand New York have a distinctly collegiate flair. 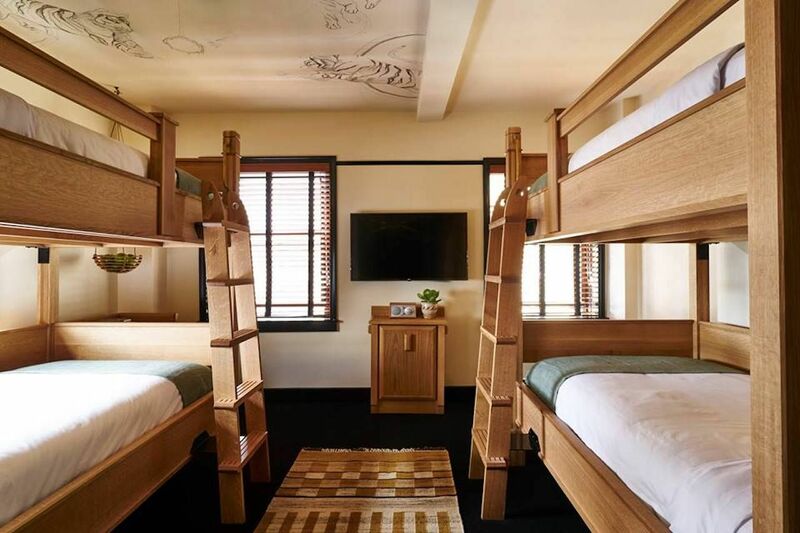 Just one of the room layouts available, the Bunk-style bookings are outfitted with four twin-size bunk beds, ideal for families or groups of friends. Located in the Flatiron District of Manhattan, Freehand New York also features custom-commissioned artwork by Bard College students and alumni throughout the hotel. Conveniently located near an actual university — Cal Poly San Luis Obispo — The Kinney SLO is the perfect way to turn the clock back to your college days. The hotel’s 100 rooms and suites were purposefully designed to mimic the feel of a fancy dorm room, and the entire vibe of the hotel truly feels like checking into an upscale college campus. There are mismatched posters on the walls, tons of lounge space, sports memorabilia, an outdoor green space with fire pits, and — of course — accent pillows emblazoned with motivational quotes. At Leroy’s, the on-site bar and restaurant, you’ll find pub fare, arcade games, and even classic games like Skee-Ball. Other amenities — the kinds of things you only wish your dorm hall offered — include a year-round heated pool with a sundeck, a cardio-only fitness center, ADA-accessible rooms (meaning they’re accessible to people with disabilities in compliance with the Americans with Disabilities Act), free parking, and free WiFi. 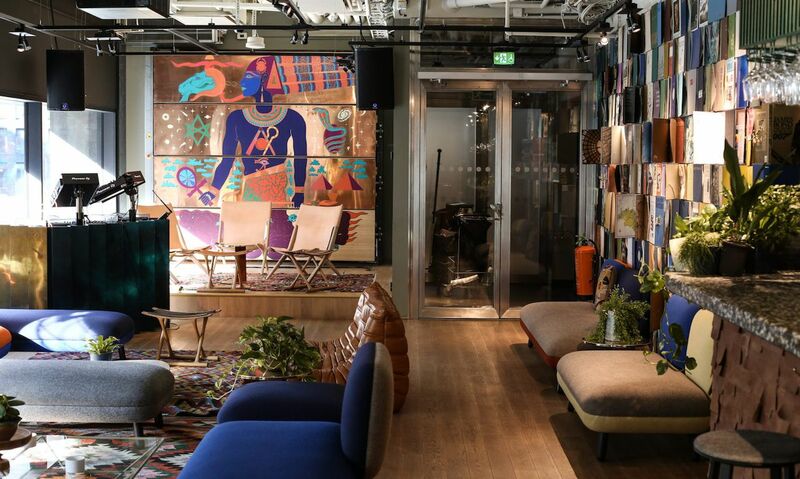 Landing somewhere between an apartment-hotel and a college suite, Zoku Hotel in Amsterdam is targeted as the ideal base for traveling professionals — in other words, college kids who grew up and got big-kid jobs. 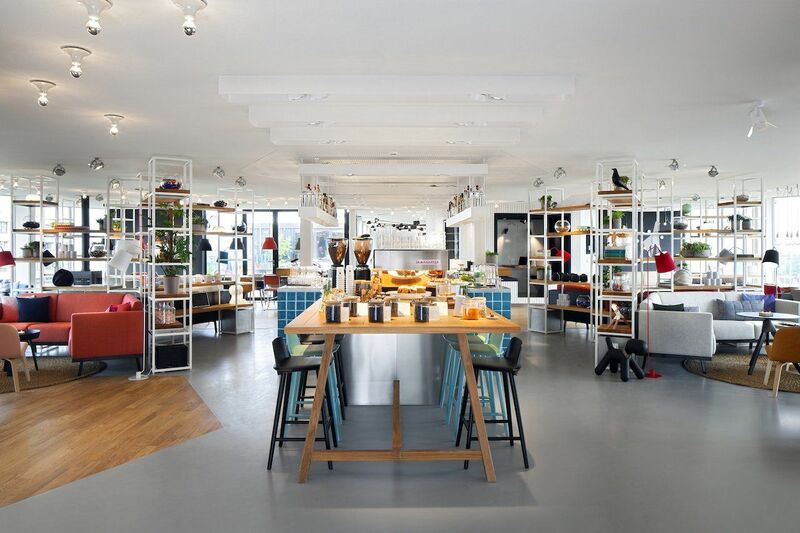 The communal feel of the Zoku Hotel gives off a distinct “university” feel with its loft-style layouts and engineered social spaces, such as the living room and kitchen where freshly prepared meals are served in a shared space. Think of it as a graduated version of your university campus but all combined into one apartment building. There’s even a Fika coffee break every day at 3:30 PM, so you can feel just as social as you were back in the good ol’ days. 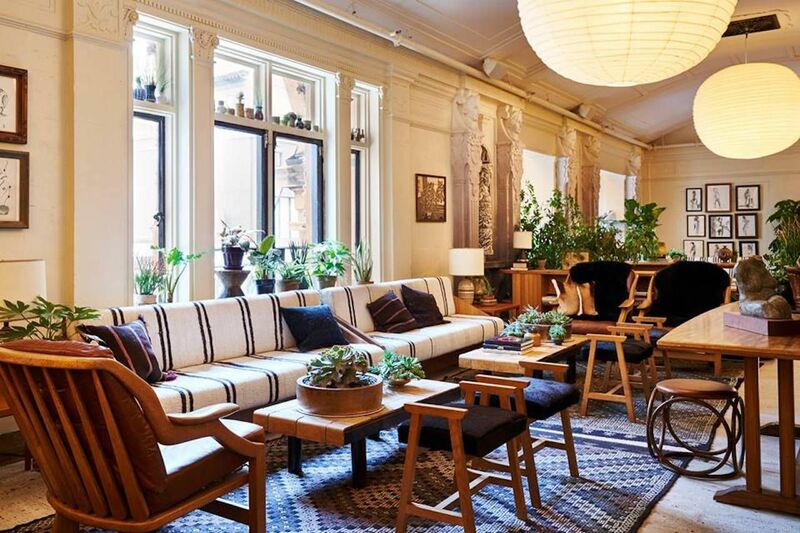 Hobo Hotel in central Stockholm bids itself as a boutique hotel, but the community-focused morale of the place feels much more like a campus you can rally around. There are 201 hotel rooms; a bar, restaurant, and café; a stage; a peg-wall with items that are free to borrow; and SPACEby, a pop-up showroom area meant for collaborations between local creators, guests, and the hotel itself — so, just like your college campus, you never really have to leave. 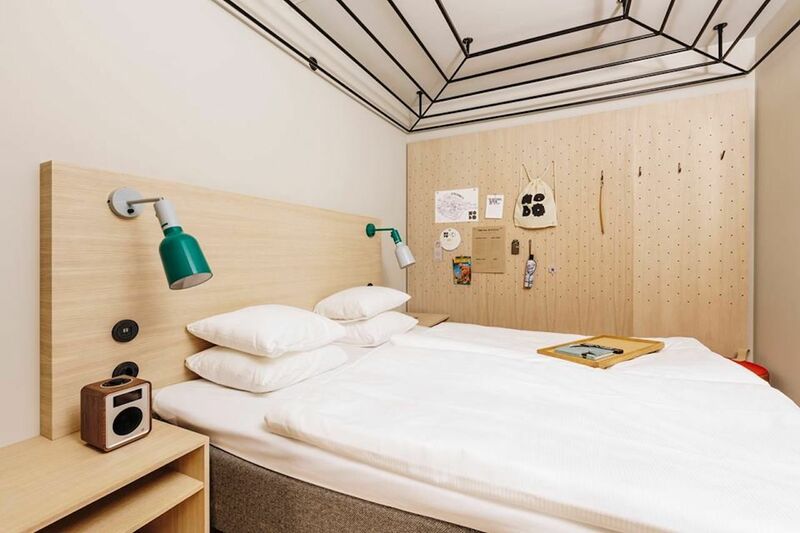 However, unlike your dorm, rooms at the Hobo Hotel come with plush king-size beds, extra-roomy showers, in-room speakers, a curated guide to Stockholm, and even a helpful reception desk that’s only a text — not a call — away. Plus, all rooms are equipped with a Google Chrome setup that allows you to stream your own content from your phone or laptop to the in-room TV. 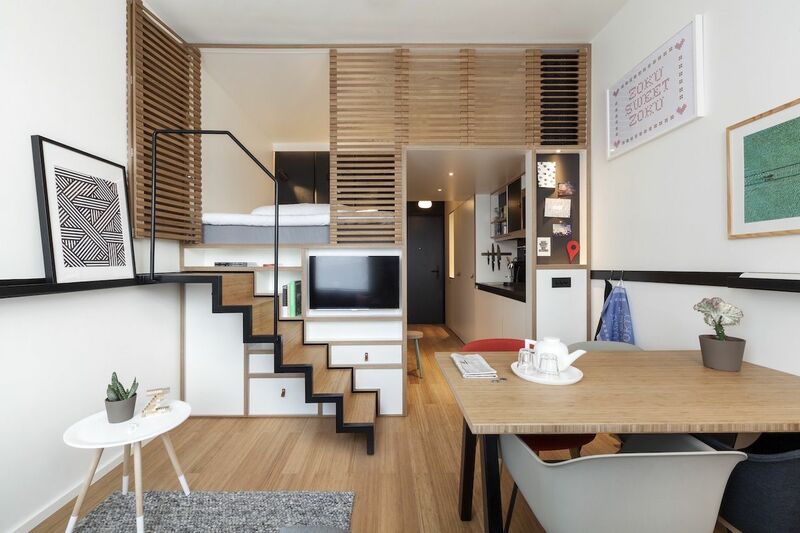 While not specifically designed after dorm rooms, the Yotel brand’s modular, pod-style setup feels just as efficient at space-saving as dorms tend to do. Checking into any location of the ultra-modern hotel chain — whether you’re in New York, Singapore, Istanbul, Mammoth, Miami, or any of the other Yotel-ed cities — is a bit like stepping into a space-age rocketship destined for the moon; there are beds that recline or morph into couches at your bidding, groovy mood lighting, and even a branded scent that was specially engineered to make you feel pleased and at ease. 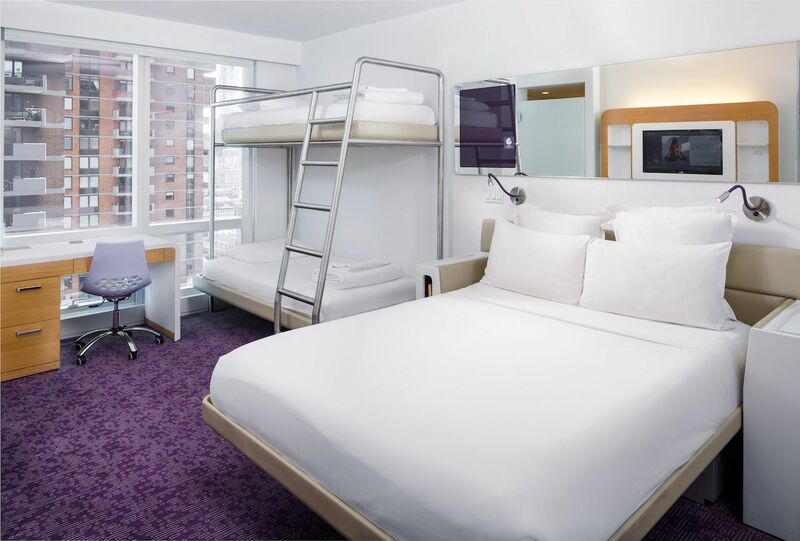 Yotel has expanded into three distinct brands in recent years: YotelAir, rooms that are located in airports and other transportation hubs and intended for four- to 24-hour stays; YotelPad, located in city centers and resort destinations, intended for longer stays; and plain old Yotel, located in urban environments and city centers, intended for typical short hotel stays. 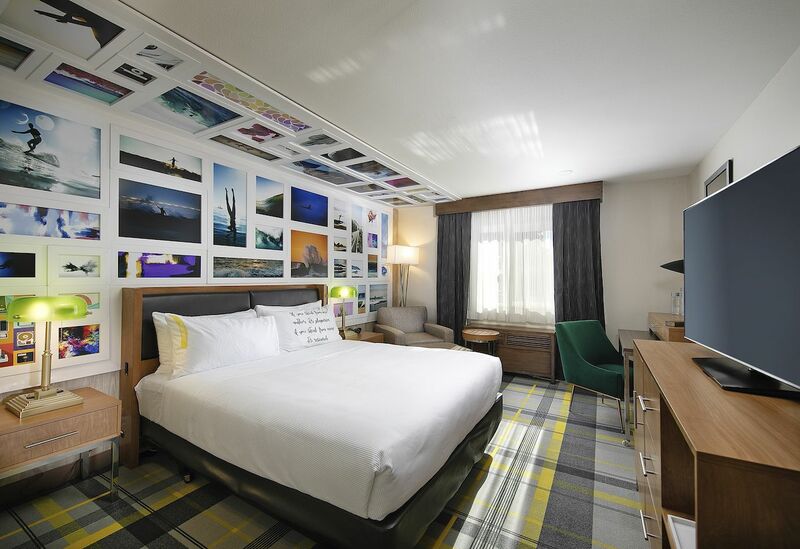 If you wanted to attend college in New York City but couldn’t quite make the Columbia cut, there’s Lord & Moris Times Square Hotel to the rescue, complete with bunk rooms to let you live out your New York co-ed dreams. But that’s about where the similarities end. Sure, there are bunk beds, but there are also flat-screen TVs, plush linens, a business center, and stylish decor — and, oh yeah, you’re located smack dab in the heart of it all mere steps from Times Square. The hotel is ideal for group travel, but if you’re not in the mood to share, Lord & Moris Times Square Hotel also has private king-bed rooms and family suites.